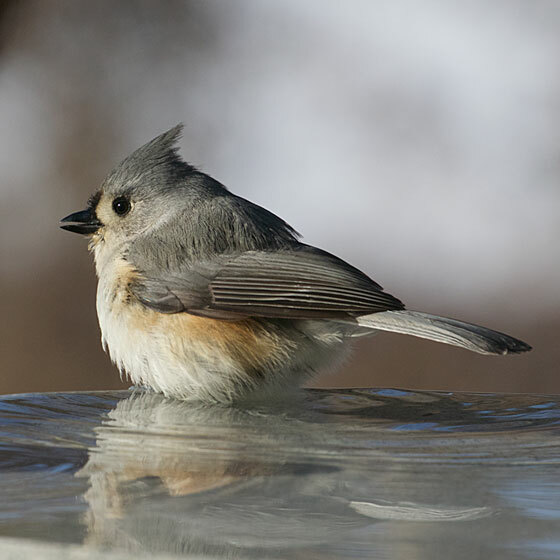 Sometimes I think of tufted titmice as grey little birds. But they are pretty colorful, washed tangerine on their sides. There's something so keenly awake about titmice that they brighten my own eye.